Doing your own small business payroll ? You've rushed to submit tax returns before the deadline. You've probably paid a penalty a time or two... or three. The Payroll Professionals at Pay Day Payroll! The core of our business is filing and paying your local, state, and federal taxes... correctly and ON TIME. If you incur a penalty because of our mistake, we will pay the penalty and interest. It's probably not a surprise that we don't miss deadlines. 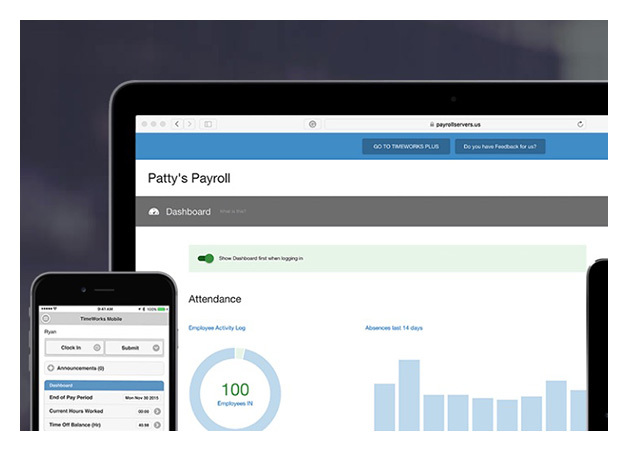 Every step of your payroll, including collecting hours, check/direct deposit payments, end of the year reporting and filing is as automated as you want it to be. Everything is optional and you're in control.